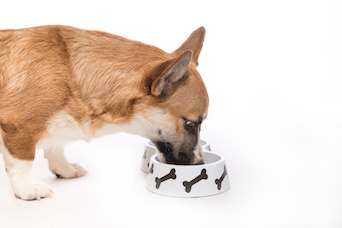 Busting pet nutrition myths with sound, fact-based information is a giant step forward for veterinarians in reclaiming their role as nutrition experts. Unless you know exactly where to look for nutrition information, you’ll probably find more fiction than fact. And if veterinarians must wade through marketing claims to find the truth, imagine what it’s like for our clients. Julie Churchill, DVM, PhD, DACVN, associate clinical professor at the University of Minnesota College of Veterinary Medicine, attempted to help dispel some popular nutrition falsehoods during a presentation at the 2018 Atlantic Coast Veterinary Conference. Although one could spend an entire day discussing nutrition myths, Dr. Churchill noted 5 of the most common misperceptions. Myth #1: Real meat is healthier than meat meal. Myth #2: By-products are unnecessary. Myth #3: Corn is bad. Dr. Churchill noted that corn is a great source of protein, essential amino acids, fatty acids, linoleic acid, and other nutrients, so it’s “definitely a valuable pet food component.” She also noted that corn is not as highly allergenic as many claim it to be. Myth #4: Grain-free diets are better. This is a big one but, despite aggressive marketing claims, grain-free diets don’t appear to offer health benefits, Dr. Churchill said. “Grain-free diets are not necessarily low carb,” she said. “The grain is normally just substituted with another carbohydrate, like sweet potato, white potato, or tapioca.” She also noted that grains have not been shown to cause health problems. “Although some dogs and cat have wheat allergies, these are very rare,” she said. Myth #5: Over-the counter, limited-ingredient diets are a good alternative for food-allergic pets. In a recent study that analyzed 21 over-the-counter, limited-ingredient diets, additional proteins (ie, those not listed on the label) were found in all of the diets studied. Owners of food-allergic pets should be advised to use a prescription diet for diet trials and/or management of their pets. At the end of the day, veterinarians are faced with the important task of choosing a food that’s the right fit for the pet and the owner. “I’m hoping that we [veterinarians] can reclaim our role as the nutrition expert for our clients,” Dr. Churchill said. Identifying nutrition myths as such, and replacing them with sound, fact-based information is a giant step toward that goal.